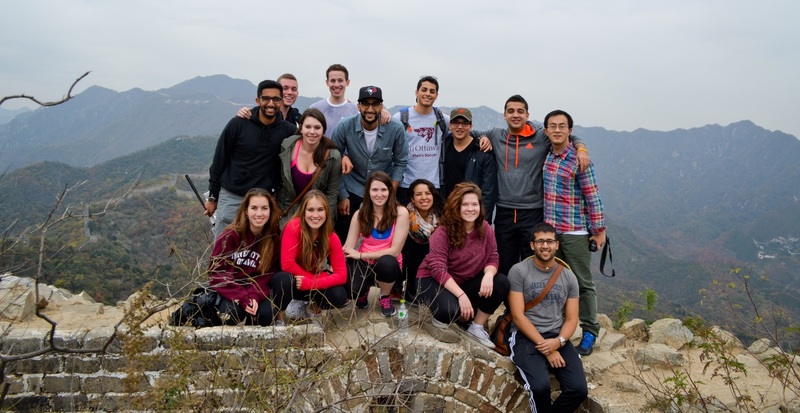 On October 15th, 15 students from the Telfer School of Management embarked on a journey to China that changed the very fabric of humanity’s existence. Ok, maybe not to the extent, but it was still an experience of a lifetime. Enactus uOttawa is a non-profit organization that helps increase the quality of life and standard of living of those in our community. With 5 incredible projects with this common goal, the University of Ottawa team is currently one of the top teams in Canada, thereby leading to the opportunity to attend and support Team Canada, represented by Enactus Memorial, at the 2014 Enactus World Cup Competition in Beijing, China! Thus, I and 14 other representatives from Enactus uOttawa flew to Beijing on October 15 to participate in this Olympic equivalent of the Enactus world. The experiences that followed became ones that I will never forget. We ventured through antique markets (yes, I bought a teapot) and bargained with the local vendors. Or, we at least hope that is what we were doing. We visited Summer Palace, which quickly became a highlight of the trip. The peaceful landscape accompanied by the distant music of a pan flute could not have created a more serene atmosphere! It truly was an incredible day, which only got better once we rented little boats around the lake. As we were walking by, we came across a group of young Chinese students who seemed to be on a field trip. At the mere sight of us, they rushed over and quite literally encircled us! These kids pulled out their iPhone 6s and other new gadgets and began taking photos of us, as well as requesting to have photos taken together! In fact, some were even asking for autographs! 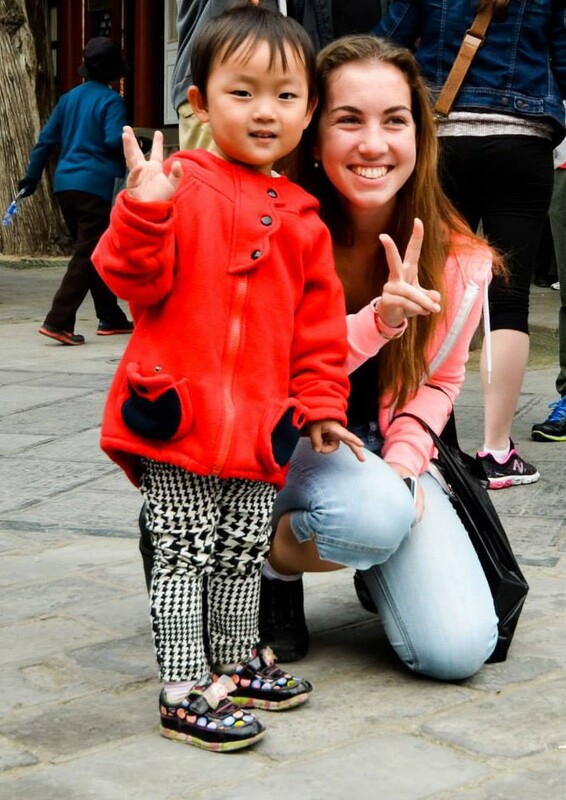 It didn’t take too long in China to realize that I did indeed stand out from the crowd, and yes, the locals were very aware of this. It became common for strangers to take photos of us, or touch curly hair, or even comment on my green eyes. No story about Beijing would be complete without the mandatory visit to one of the greatest wonders of the world: The Great Wall! It’s ridiculous for me to try and explain the breathtaking views, or the unreal experience it was to climb it. I highly suggest for this to be put on your “To-Do” list. However, I can proudly admit that I not only ventured across the wall, but I in fact luged down the mountain from The Wall! Now that was an incredible time. Of course, we visited many other touristic sites including Tiananmen Square, an omescape location, the markets, and many more places that, had I written about them all, you’d be sitting here for days! Later that week, the Enactus World Cup competition was beginning! With 34 countries represented, ranging from Brazil and South Africa to Russia and Australia, the competition began with a fair that featured all the countries’ cultures, including clothing, food, and activities (of course Canada’s activity would include mini-sticks and a hockey net). It was an exciting experience to venture through this large room filled with people from, quite literally, all around the world! The 3 day World Cup competition presentations showcased the teams’ outreach projects and their ability to positively impact people’s lives. Team Canada advanced as far as the semi-finals, with Ireland, China, Morocco, and Puerto Rico progressing to the finals which were held the following day. In the end, China was named the 2014 World Cup Enactus Champions in front of a roaring crowd of over 5,000 individuals. Their project created a wind and solar generator system that supplied electricity to local herdsman and in turn, doubling their annual income. Throughout the competition, there were also some fascinating speaker panels, featuring the CEO of Walmart, the Executive Vice President of Coca Cola, President of the U.S. Foundation of KPMG LLP, as well as many others. It was an experience to remember, and I couldn’t have asked for a better group to share this with. I am extremely excited to have had the chance to not only explore Beijing, but to meet hundreds of incredible, like-minded friends who are change-makers —just like us— from around the world.